In branding it’s important to own your story. Embrace what is unique about your company, and the story of how you got there. In every meeting with prospective clients, our #1 rule is: we listen. 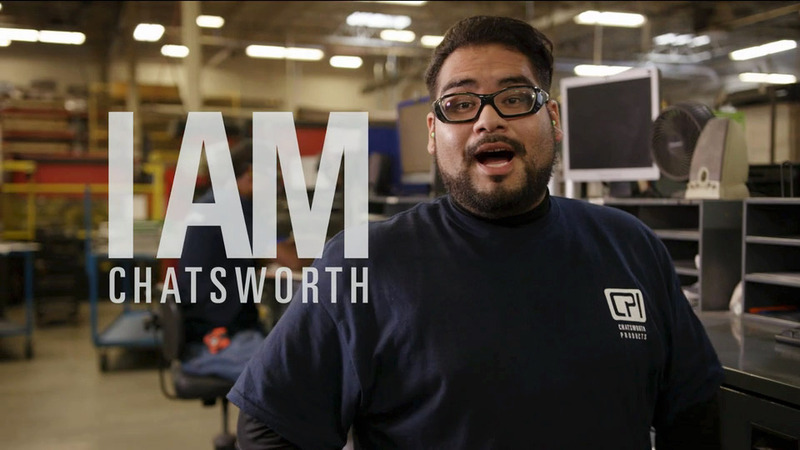 And in the tale of Chatsworth, we heard a very interesting story behind their success. They are owners, every one of them. 100% employee owned. And that generates a pride in their work that translates to a pride in their product. And that’s one big reason why they’re products are so successful in the industry. So of course their story had to feature, fundamentally, those people who make their story great. And while we couldn’t capture every name and face in a multi-national tech company, it was important in capturing their story that we humanize it exactly that way — by face and name. And then invite the customer to be a part of the story as well. Co-directed by Zane Rutledge and Jeff Stolhand. (Read more at Jeff’s blog.) Produced by 360 Studios’ Shaggy Welsh and Matt Joyce. Lensed by Andrew Barrera.